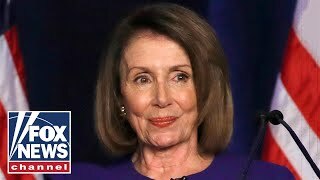 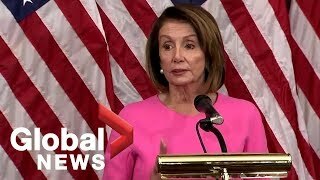 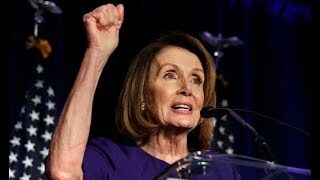 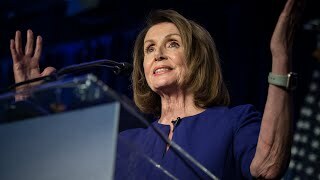 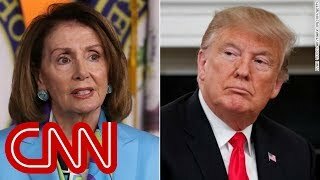 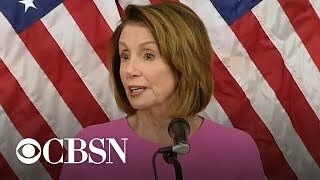 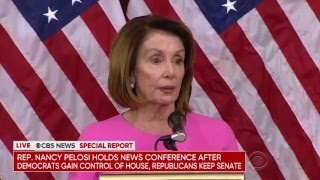 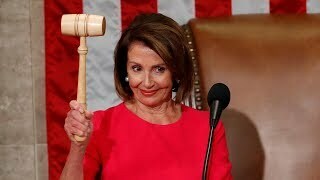 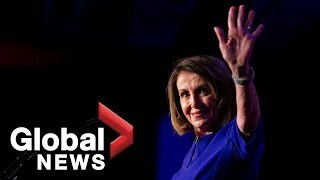 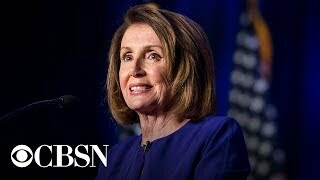 House Minority Leader Nancy Pelosi is holding a press conference Wednesday after Democrats recaptured the House in the midterm elections Tuesday night. 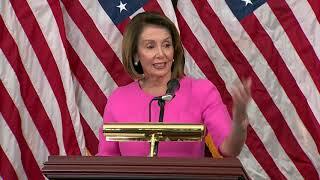 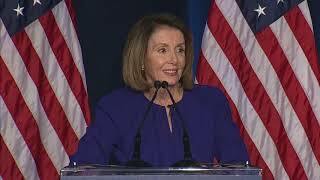 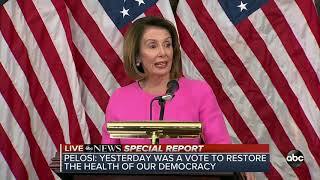 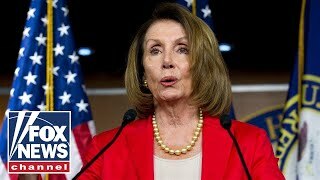 Nancy Pelosi held a news conference on Wednesday after the midterm election. 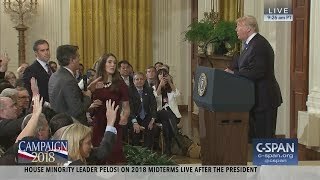 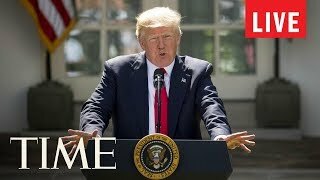 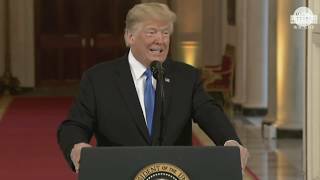 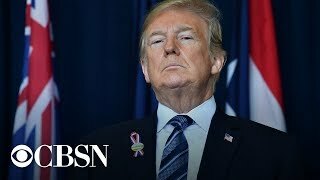 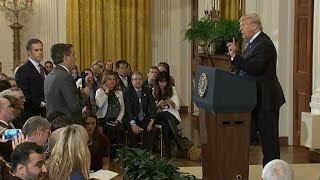 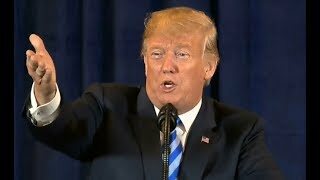 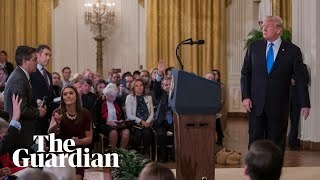 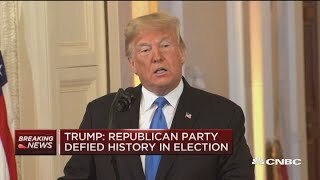 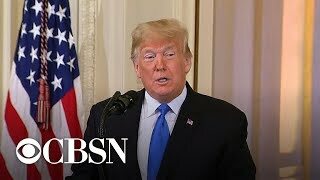 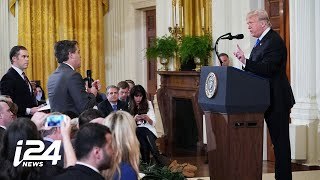 NEWS DESK | President Trump addressed the media after the 2018 midterm election results came in, which gave the Democrats the House of Representatives. 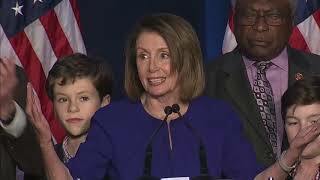 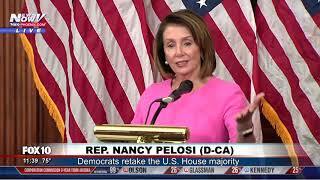 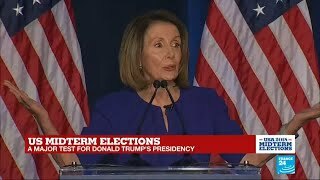 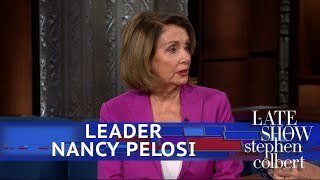 House Minority Leader Nancy Pelosi (D-Calif.) touted House Democratic gains in the midterm election on Nov. 6. 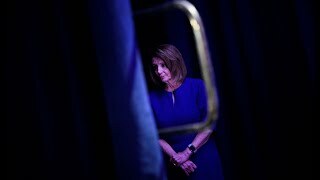 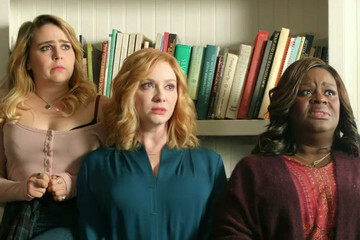 Read more: https://wapo.st/2RBwmQO. 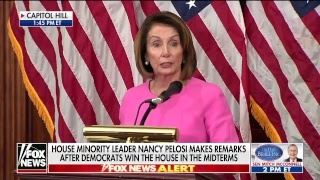 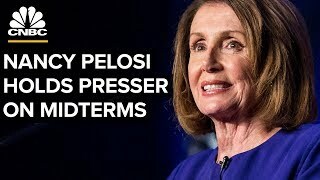 House Minority Leader Nancy Pelosi holds her weekly press conference today as House Republicans select new leadership following the midterm elections. 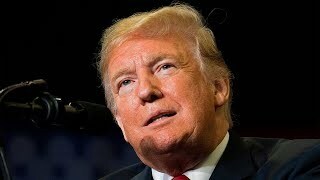 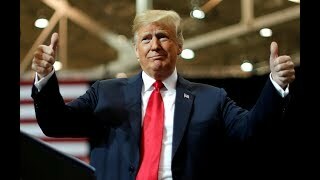 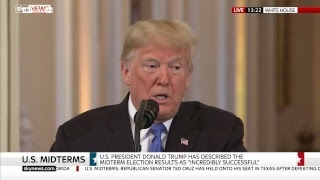 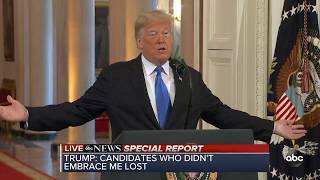 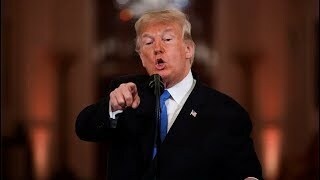 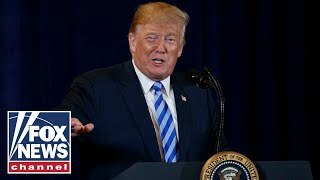 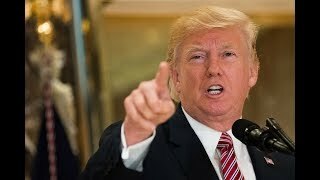 US President Donald Trump hails Midterm election results a "tremendous success"